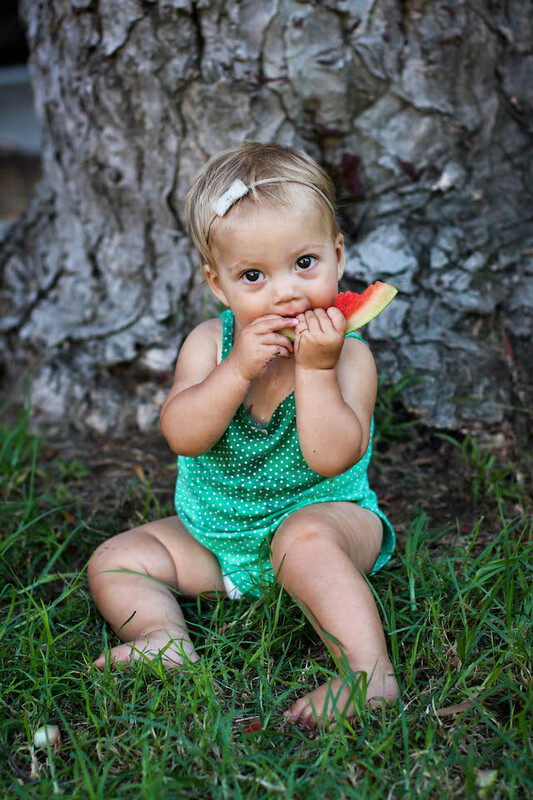 Both of my kids would eat watermelon for every meal if I let them. 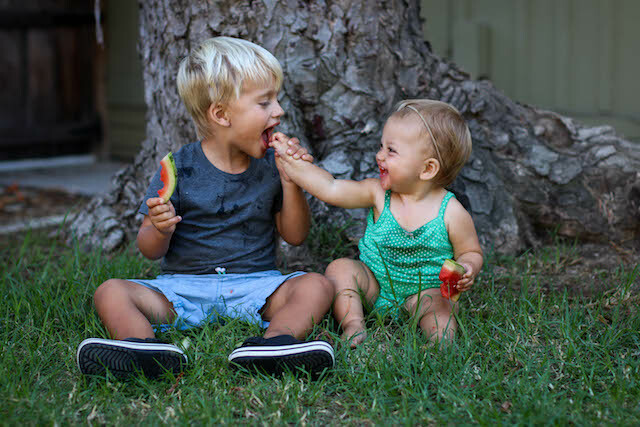 This was a warm day, and I cut up some watermelon for their afternoon snack, which turned into a dinner consisting of mostly watermelon, but it kept them occupied and happy and messy. 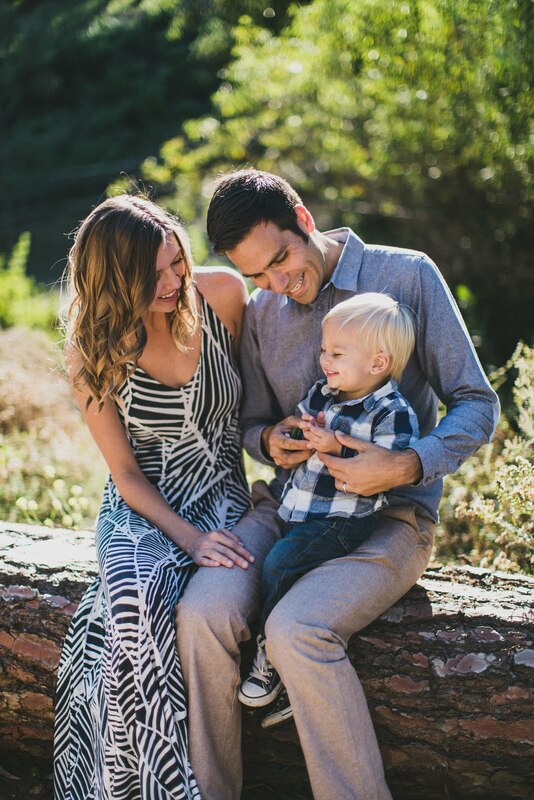 Was it a mom win or fail? I'm not sure. 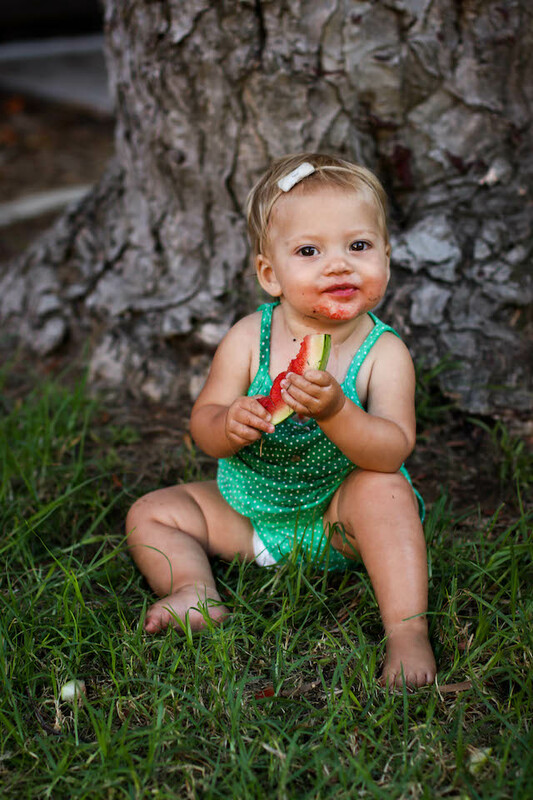 As a parent, I have come to realize that toys are really overrated. 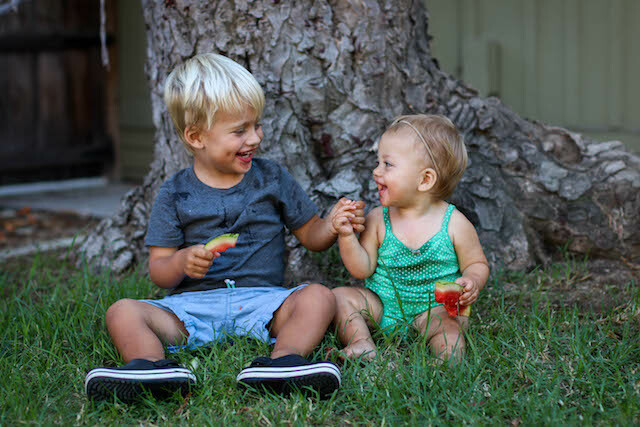 Give them a cardboard box or watermelon or music for a dance party. They will be entertained for much longer than a toy will keep their attention for, at least with my kids. 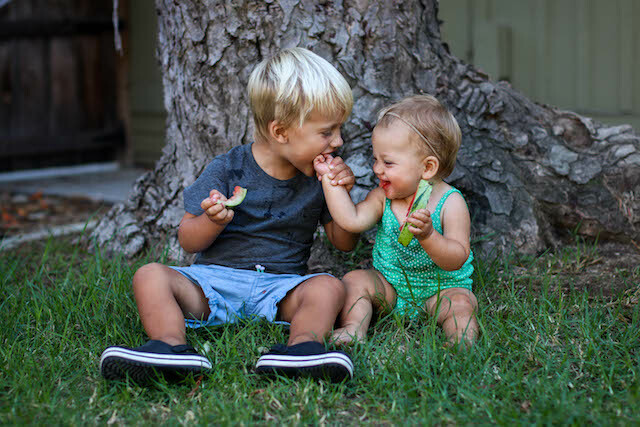 I was basking in the moment of them not needing my immediate attention, but then they sat there looking so cute eating watermelon together, which led to me grabbing the camera and taking a superfluous amount of photos, because it turns out I'm the kind of parent that actually needs nineteen photos of my kids eating watermelon. 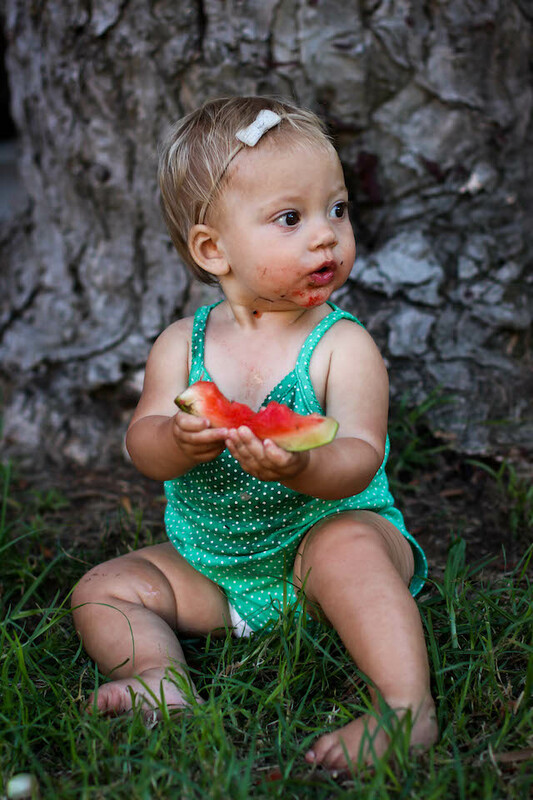 How ridiculously cute is a baby hand holding onto a slice of watermelon though? 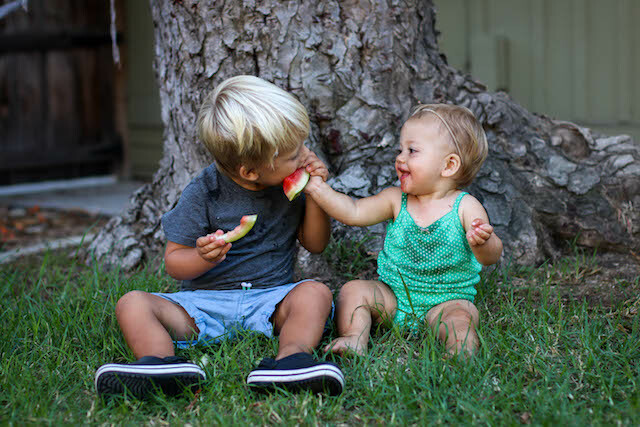 I mean, will they ever be this cute eating watermelon again? I'm not sure. 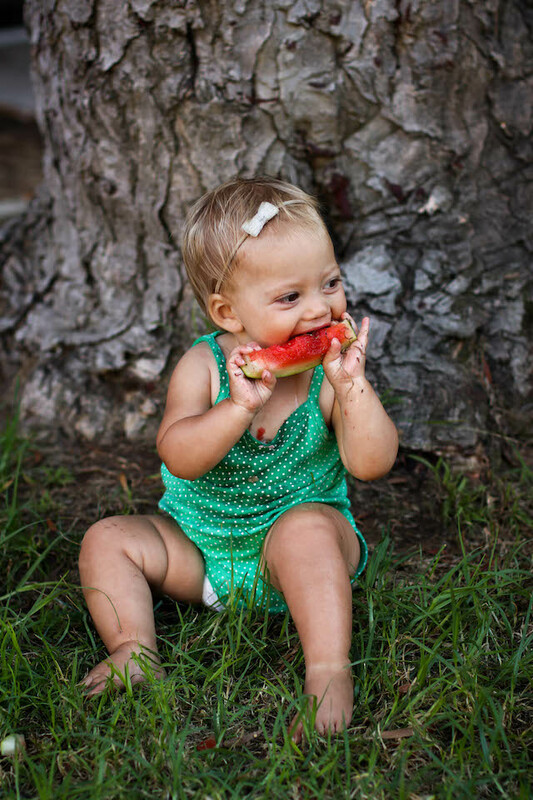 Here's my parenting tip for the day: If you are feeling like you need a break, just cut up a watermelon and let your kids be entertained by eating it and getting messy, and you will likely get a moment of peace and quiet to yourself. 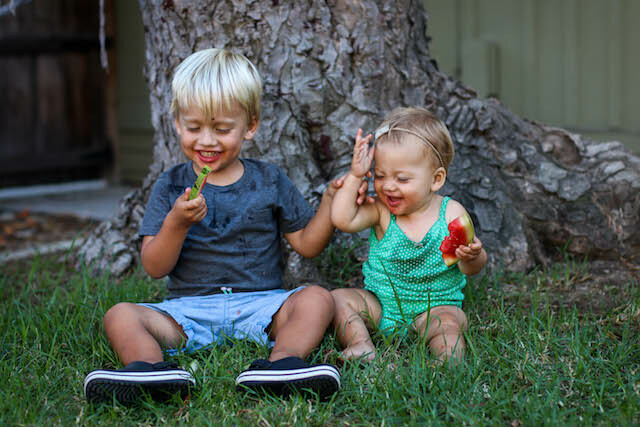 But then, they might look so cute eating the watermelon that you will forgo your moment of peace and quiet to take pictures of them instead. And therein lies the paradox of parenting.